﻿ Previewing England vs Pakistan: A bright new era or a painful exposure? Previewing England vs Pakistan: A bright new era or a painful exposure? Many thanks to an esteemed member of our forums for this excellent write-up previewing the upcoming two-match Test series between England and Pakistan. It would be a fool’s errand to wait for a middle ground in Pakistan cricket. The extraordinary highs are just as easily followed by dismal lows. 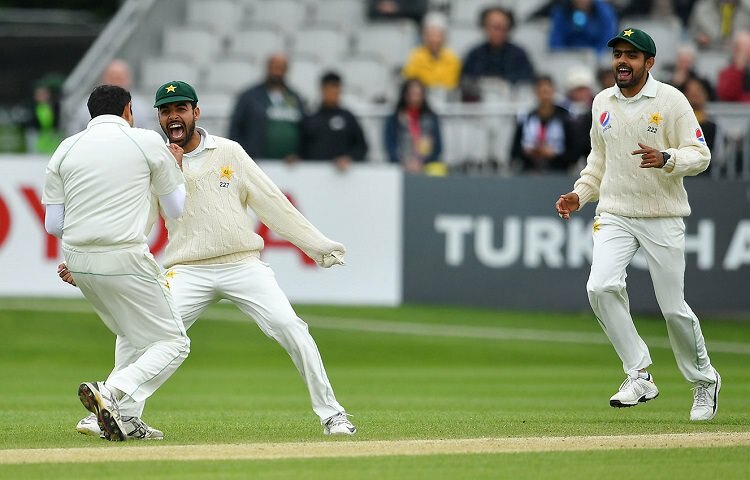 Nearly two years since Pakistan’s ascension to #1 in the Test rankings after a memorable 2-2 draw away to England in 2016 – they languish in mid-table mediocrity at #7. Their seven year unbeaten record in the UAE was ended by an unfancied Sri Lanka side. There are significant mitigating factors. Twelve months ago, two stalwarts of Pakistan’s Test middle-order in Younis Khan and Misbah-ul-Haq concluded their international careers in the Caribbean, leaving a batting unit never known for its stability without the guiding hand of two senior players pivotal to that rise to #1. The new look Pakistan team that beat Ireland in a terrific contest at Malahide had a combined total of 238 Test caps. To put that in perspective, Younis Khan and Misbah-ul-Haq share a total of 193 Test outings. However, it is futile to continually lament one of cricket’s unchangeable realities – the fact is all great players must bow out and the baton is passed to the next generation who now have the opportunity to create their own legacy. The two senior batsmen Azhar Ali and Asad Shafiq account for just over half of those 238 caps and must lead from the front, not only to help produce competitive totals, but reduce the burden on the two talented but unproven Test batsmen in Haris Sohail and Babar Azam. What are the keys to success for Pakistan in this series? The first is a solid opening partnership. Pakistan have not achieved an opening partnership of 50 in England since August 1996. Azhar Ali partnered with Sami Aslam to ensure a series levelling draw at The Oval in 2016, but Aslam’s loss of form means the duty falls on young Imam-ul-Haq. The nephew of Chief Selector Inzamam-ul-Haq has been labelled a “nepotistic” pick by some quarters and will be eager to prove his naysayers wrong against two of the finest exponents of the new Dukes ball in James Anderson and Stuart Broad. Despite an average First Class record, Imam has already made a promising start to his Test career with a classy fifty against Ireland in an awkward 4th innings chase, following on from two fifties against Kent and Northamptonshire in the warm-ups. They must blunt the new ball without going into a shell which the pair can be guilty of when batting together. Critical to any visiting team’s chances in England is how well they utilise the new ball, which Pakistan have been guilty of wasting in recent Tests, especially on their last visit to England. Pakistan’s new ball bowlers have averaged 31 since the 2016 England tour – only West Indies, Bangladesh and Zimbabwe fare worse. The new cherry is expected to be shared by Mohammad Amir and the economical Mohammad Abbas. Amir’s Test future was up in the air prior to the tour, owing to concerns about his workload and recent knee injuries. His Test form since returning has been unimpressive though he put in a significantly improved display in Malahide where he especially troubled the left handed Irish batsmen. If Amir can get closer to the stumps to bring LBWs and bowleds into play and shows willingness to pitch the ball up, the English batsmen freshly scarred by another left armer in Trent Boult will be challenged. A significant change to Pakistan’s Test formula is that coach Mickey Arthur has opted for a five man attack. Since the sidelining of Mohammad Hafeez, who has seen more ICC bowling action tests than international caps lately, Pakistan have relied on Yasir Shah to hold up an end in a four man attack. However, partly due to Amir’s fitness issues, but also to give the best chance of taking 20 wickets, all-rounder Faheem Ashraf has been introduced to Test cricket. Whilst immediately repaying Arthur’s faith with a cracking 83 against Ireland with the bat coming in a tricky situation, Ashraf took only one wicket in five outings on this tour and needs to prove he can deliver in both departments to justify the ditching of a sixth specialist batsman. Meanwhile, legspinner Shadab Khan is one of the most exciting prospects in the country and viewed amongst some as the heir to Yasir Shah despite possessing little First Class experience and being more renowned for his limited overs exploits. With Shah’s injury, Shadab must display the control over line and length necessary to allow his skipper to rotate his pacers, and avoid over relying on his googly. Now there were many instigators of Pakistan’s rise to #1 in the Test rankings. Of course, Younis and Misbah were the bedrock of the middle-order, whilst Yasir Shah bowled Pakistan to victory on countless occasions. But it must not be forgotten that the current captain Sarfaraz Ahmed played a major contribution with his counterpunching innings down at #7. From the start of 2014 until his appointment as Test skipper last summer, he boasted an average of 46 and was heralded as one of the world’s leading keeper batsmen. However, Sarfaraz’s batting form has nosedived since his appointment as Test skipper. In the first innings at Malahide and at Leicestershire in the warm up, he was guilty of throwing his wicket away. Pakistan needs Sarfaraz to live up to his responsibilities as captain – especially without six specialist batsmen. What makes this series a tantalising prospect is England themselves are a flawed outfit, suffering a bruising winter in Australia and New Zealand with their new captain Joe Root returning home without a win. At Auckland they were bundled out for 58, lasting little more than the duration of the matches of their new “The Hundred” competition, ill at ease against quality swing bowling. They too have struggled for stability with their opening partnership, with the ageing Alastair Cook experiencing form that’s either feast or famine. Joe Root will move up to 3 and must show he can convert starts into big hundreds whilst Jonny Bairstow receives an overdue promotion up to 5. Those three men will be the most prized wickets for the visitors who will be determined not to prove a mere supporting act to the India series later this summer. What will please the tourists is that the English weather has experienced an upturn lately. With Lord’s a typically slow, flat and dry pitch – the leg-spin of Shadab can come into play on Days 4 and 5 and gives Pakistan a shot of making competitive totals. The fortunes of youngsters Imam-ul-Haq, Faheem Ashraf and Shadab Khan may be a microcosm of how Pakistan’s Test fortunes pan out in the next year – leading the side into a bright new era, or heading for a painful exposure to the longest format.